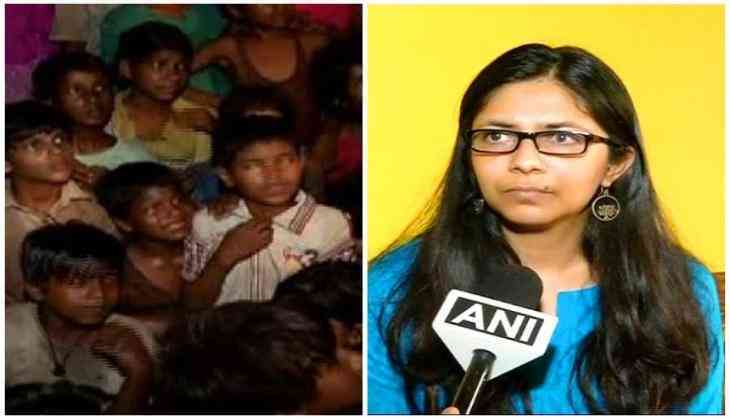 Demanding justice and quick action on the demolition of the homeless shelter by the Delhi Development Authority (DDA) and Delhi Police in Nizamuddin, Delhi Commission for Women (DCW) chief Swati Maliwal slammed the DDA asserting that they should be responsible in giving a new rehabilitation centre within 24 hours. Speaking to ANI, Maliwal said "How can DDA and Delhi police leave the women and children on the road at night? Did they not think about women security? We will issue notices if no action is taken on them. DDA and Delhi police together demolished it so they should be responsible in giving a new rehabilitation centre within 24 hours". Further lashing out at them, Maliwal asserted that new night shelters should be built again and warned the DDC not to take such action again. "After the demolition, the girls were left without security and also no one bothered. We want quick action against DDA and also want to know who ordered this-without any plan," said Maliwal. Earlier in the day, Chief Minister Arvind Kejriwal also expressed his concern over the disturbing development and assured that the children are being shifted to another home. On Thursday, a children home shelter ' SPYM-Wishes and Blessing Home', where over 50-60 small children used to live was demolished allegedly. "SPYM-All wishes and Blessing home is my home. 50-60 children used to live in this home and we adopted this place in 2014 from the Delhi Government's Raen Basera policy and transformed it into SPYM-Wishes and Blessings Home. There are 60 children and 15 females here, who were all abandoned at one time. Out of these 60 children, 45 go to schools. Today, DDA people arrived and demolished our home," the SPYM owner told ANI.